This isn’t just a gift – it’s an experience. NIV Live brings the Bible to life in this incredible production featuring Grammy, Oscar, and Golden Globe Award-Winning Artists, Hollywood sound effects, and the Prague Philharmonic Orchestra. This powerful 79-CD set lets you listen to and experience the entire Bible from cover to cover, from Genesis through Revelation. NIV Live features an ensemble cast of actors, musicians, and notable personalities who come together to re-enact the complete Bible for your listening experience. Each biblical character is represented by a unique voice that brings the persona to life. 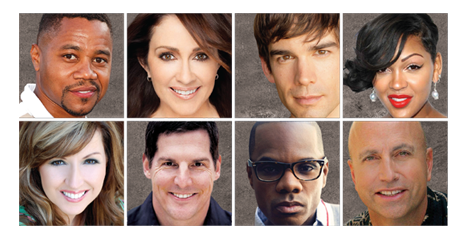 Some of the voices you may recognize include Denzel Washington, Cuba Gooding Jr., Patricia Heaton, Christopher Gorham, Pastor Paula White, Carlos Santos, Grammy Award nominated singer & songwriter Martha Munizzi, Pastor Craig Groeschel, Christine Lakin, Tatyana Ali, Emmy Award winning producer Pastor Miles McPherson, and nine-time Grammy Award winning singer and producer Kirk Franklin, along with many others. The second edition CD set is the only one offered on a digital platform. It includes access to the mobile app and an online listening portal that’s accessible on any device – your phone, iPod, tablet, laptop, etc. And I love this part – you can search for specific verses or even create your own playlist. 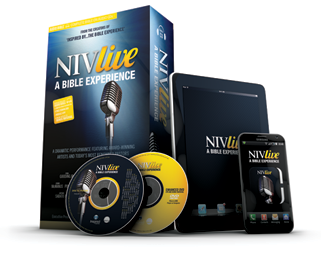 *This offer is only good on the full CD set and can’t be used on other NIV Live items. The promo code is good through 12/31/14. 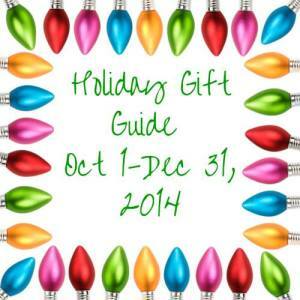 This is a perfect gift for those with aging eyes, those who travel or are in the car a lot. It allows them to take in God’s word without having to read it themselves. Perfect gift! What a great gift that you could share with the whole family! I am disabled & a Diabetic – with my eyesight going. I could really use something like this to keep up my spirituality, which is very important to me! And F.Y.I. I think that the star above is Patricia Heaton – not Patricia Keaton. It is refreshing for celebrities to stand for Christ!! The NIV Live is awesome. I would really like to have this. Great Review. Wow- this is awesome! I think my Mom would love this….and I think I am adding it to my Christmas wish list! Wow! What a great way to really get into the bible and be submersed in it! Thanks for sharing! What a great voice cast! I’ll definitely need to check this out for gift giving this year. Thanks! What an awesome gift idea and this would be great for our family. Thanks so much for sharing! This would be a great gift! Perfect for Christmas gift giving. Love this! My family could definitely benefit from this. I love listening to the bible while I’m laying in bed at night.